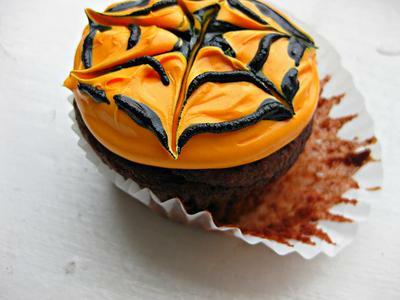 Here is an easy and festive way to create Halloween-inspired cupcakes that both kids and adults will love! 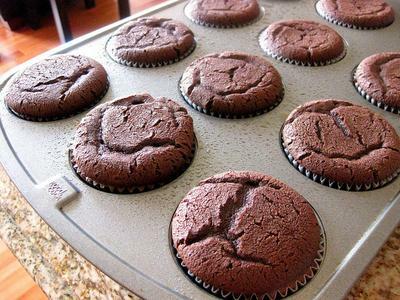 Start by baking a batch of your favorite chocolate cupcakes, or try these moist and fudgy ones. 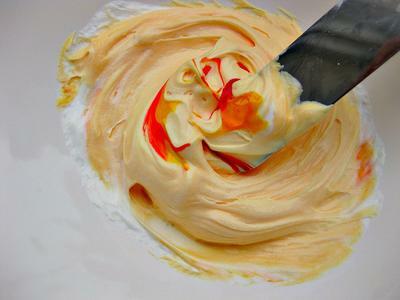 Next, whip up a bowl of classic buttercream (enough to frost the number of cupcakes you made) and tint it orange with either a few drops of red and yellow food coloring or use a coloring gel. 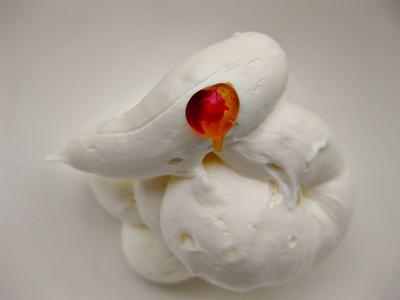 Stir until you achieve a smooth, creamy consistency. 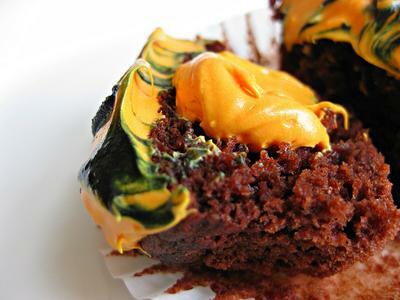 At this point, you can also add a droplet of orange extract to make the buttercream burst with a hint of zesty citrus flavor, which I must say, complements the chocolate in the most intense way. 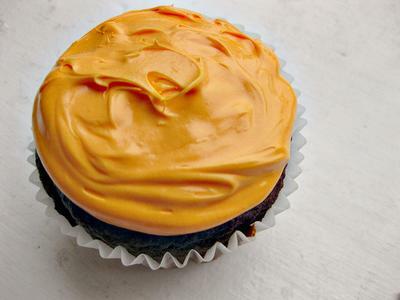 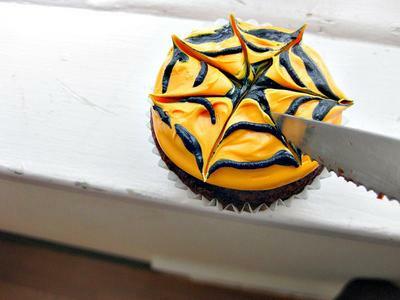 Spread two tablespoons of the orange buttercream on top of each cupcake and smooth with a butter knife. 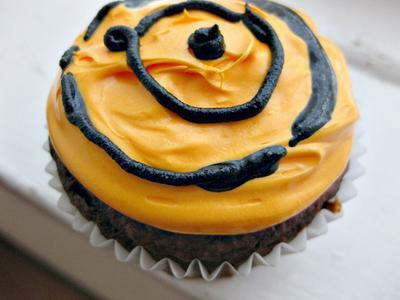 Now, using a black decorating icing, like this kind from Betty Crocker, make a dot in the center, then two or three rings surrounding that dot, almost like a dart board.